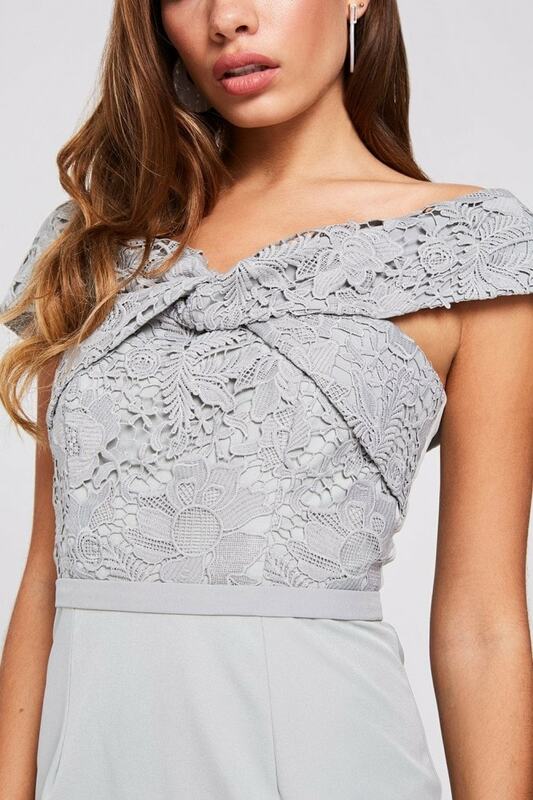 Fitted dress with crochet bodice and twist-front bardot neckline. Knee-length skirt with split back hem. Zip fastening.